Eileen Oswald, was born in Edmonton, Alberta and has lived in Saskatoon and Calgary before moving to Mississauga, Ontario. This explains her love for the wide open skies and mountains. She is a self-motivated, passionate artist who has been painting in oils, encaustic, pastels (both soft and oil), various water media and printmaking. 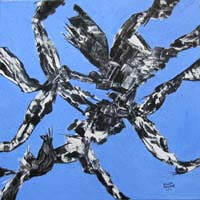 She is keenly aware of the colours, designs and textures in nature and the emotional influence created by them. 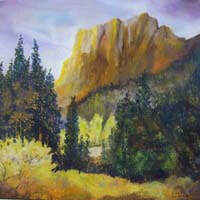 Known as a progressive painter, Eileen is open to exploring different techniques and enjoys the freedom to choose whichever medium might be best suited for the varied subjects that interest her. She has a Fine Arts Certificate from Sheridan College and has consistently expanded her studies with many accomplished International and Canadian teachers. She has achieved Master Pastelist status with Pastel Artists of Canada, and is a signature member of Colour and Form Society. 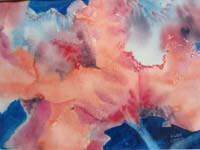 In 2008 and 2009 she was a finalist in the Established Artist Category of the Mississauga Arts Council “Marty’s”. In 2010 she was the recipient of the “Laurie Pallett Patron Of The Arts” Award. 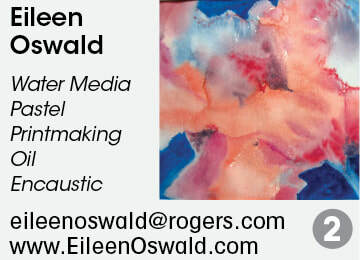 Eileen has been very active in the promotion of the art scene in Mississauga and Ontario. She served as a director on the Board of the Mississauga Arts Council from 1999 until 2007. Prior to that she was Chair of Fine Arts, on the Mississauga Arts Awards Committee, and served on the executive of the Pastel Artists Canada and Clarkson Art Society, as well as sharing experiences by teaching and mentoring. 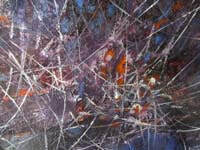 Her paintings are in many private and corporate collections in Canada, United States, England, Switzerland and Australia. Corporate collections include; Art Gallery of Mississauga, University of Toronto, Geological Dept., Inacom Information Systems, Mobile Direct, Kim Copetti, Accounting Services, Trilliam Health Centre, Ontario Power Generation.